It was the Blackberries and the casual clothes that gave the game away. 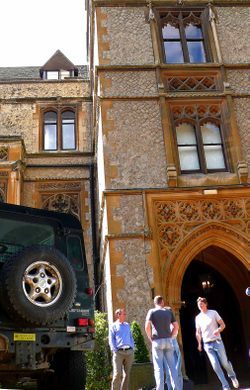 That, and the gravel drive past the Porsche and the Landrover to the country manor. It was our time for our Awayday experience. Company Awaydays have become the target of fun and ridicule in advertising and elsewhere. How pointless, the petty ambition, the power games ... the image of David Brent stalks the syndicate rooms with their flip charts and tea and coffee pots and square glass bottles with suspiciously bright contents (what IS that stuff?). This year, we considered crawling around the room in the dark with our pants on our heads and Post-It Notes on our feet naming our least favourite colleague. Instead we did Aikido moves. It's not as Brent-esque as it might sound. We did this partly as a warm-up, but there is a fascinating application. 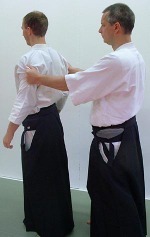 First you need to know something about Aikido. We had a coach, of course. Unless your name is Roger Federer, you will gain from having a coach. Ours was Mark McGuinness, coach and poet. And Aikido devotee - doh. Maybe the principles and practices of Aikido can be applied to conversations. To us, the Art of Conversation is also about deflecting aggression and 'harmonising' mercifully with participants, going with the flow. Asking 'why?' in certain contexts is the conversational equivalent of thrusting towards the face with a long wooden pole. 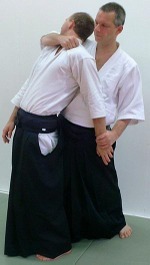 Turning this around, here are three Aikido moves and their conversational equivalents. We might see if AQR want to adapt the approach for training purposes. Suitably warmed up and harmonised, we went on to discuss meaning and purpose and the Wardle McLean Way. Very interesting outputs, some of which are becoming blog posts, even now. The higher purpose question is very worthwhile - and quite a challenge. Mark Earls and others have written about it. We have blogged about this before - brands with a higher purpose. What is it you really believe in? What do you want your work to be about? 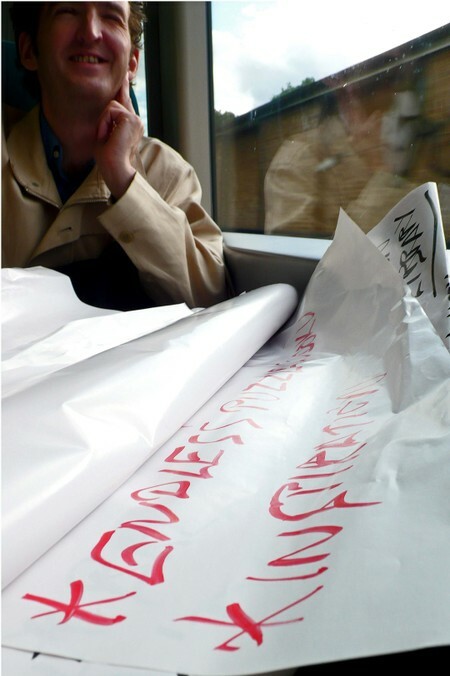 We came back happier, more harmonised and with more flip charts pages than we could fit into a bag. Kevin...within the Art of Hosting community of practice, we use aikido as a formal practice and as a metaphor for conversational practice. When my mate Toke Moeller is teaching, we will do an hour of aikido and some sword practice in the mornings. It is good training on a number of levels, and I'd be delighted to share more with you via Skype, and explore this stuff more deeply. Chris, that would be very generous, I really appreciate the offer. I don't have a Skype adress, but Tania does and we just hooked up our webcam so maybe we could talk about this. We are interested at WM, as you know, in exploring the 'real' or 'hidden' or 'less talked about in marketing circles' conversations that people have about brands. Will find out our Skype addy and get back to you. Thanks again, hope everyone is thriving on the island.